We are looking for a talented Social media manager to administer our social media accounts. You will be responsible for creating original text and video content, managing posts and responding to followers. You will manage our brands image in a cohesive way to achieve our goals. The Kailash Satyarthi Children’s Foundation (KSCF), set up by Nobel Peace Laureate, Mr. Kailash Satyarthi, is a global thought leader for prevention of exploitation and violence against children. KSCF works for the creation of a child-friendly world through direct interventions and programmes, research and capacity building, and campaigns for the mobilization of mass support and behaviour change. Mr. Satyarthi’s lessons learned guide the Foundation’s work to engage children and youth as part of the solution, build greater collaboration between governments, business and communities, ensure effective national and international laws, scale know-how and successful practice and create partnerships with key stakeholders. Is this your Dream Job ? The Communications Coordinator will develop website content, manage social media on a daily basis, write for key publications, and gather stories and photos of beneficiaries that document the work of the KSCF and its projects. This position is an active part of the Communication team, representing the KSCF in various roles inside and outside of the KSCF as well as becoming involved with other department projects and events as necessary. The Communications Coordinator position is reporting to the Director of Communications. This position is responsible for supporting the Director of Communications in executing the communications strategy and developing rich content for the KSCF. iii. Brochures, fact sheets, etc. Write press releases and send them to appropriate press outlets as needed. Maintain press list with accurate contact information. Analyzing and reporting impact of communications on organizational success. Design and write for ads, flyers, banners, brochures, fact sheets, event signage, invitations, etc. as needed. Develop and write public relations strategies for KSCF events and announcements as needed. Write eNewsletters for donors based on a calendar developed by the Director, and ensure that eNews stories connect to existing or new pages on the website. Execute social media strategy for the KSCF. Develop video content for use on the website and in social media. Develop new content and maintain website. Write new stories, create new pages, and solicit updates from other departments. Work with website design vendors to implement design changes to the website. Conduct frequent interviews to be used for newsletters, direct mail, website, press conferences, etc. Work with entire Development team to achieve the KSCF’s fundraising goals. Help establish and maintain internal communications to keep staff informed of the work of the organization. Graduate or Post Graduate degree in English Literature from a reputed University is essential. Post graduate degree in Mass Communication and Journalism from a reputed University. Minimum 3-4 years of experience in working in a similar capacity. Proven experience in writing content and managing social media accounts. Demonstrated ability to write strategic communications pieces for an organization, including press releases, newsletters, website content, etc. The individual must have strong interpersonal skills and have the ability to relate to other staff, volunteers, agency representatives, and the general public. The individual must be self-motivated and committed to workplace participation and diversity with the ability to work as a team member. Interest in Child Right and Child related issues. Prior work experience in development sector will be an asset. 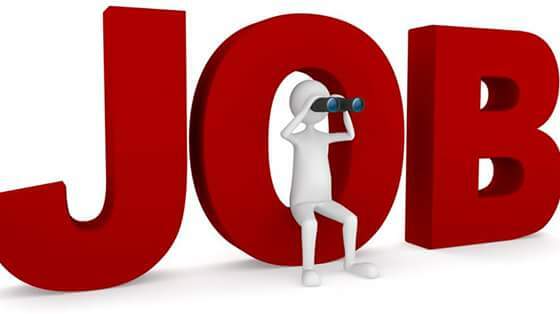 Interested candidates with relevant experience may send their application mentioning “Coordinator – Communications” in the subject line, along with CV and cover letter justifying suitability for the position – role fitment based on present & past work experience to: careers@satyarthi.org by 15th of April, 2019. Highlight why you are the best fit for the role in cover letter. Please indicate Current/last drawn compensation & expected compensation in your application. Applications without cover letter will not be accepted. Passionate about giving every child the freedom to dream? Think you’ve got the single minded determination to ensure that no child is left behind? Then we have a place for you! At Kailash Satyarthi Children’s Foundation, your gender, race, ethnicity, national origin, religious beliefs, sexual orientation, age, marital status, disability or socioeconomic status will never be an obstacle in your journey to giving every child a childhood worthy of the name. We believe that it is only through diversity that we can achieve excellence. BBC World Service is an international multimedia broadcaster, delivering a wide range of language and regional services on radio, TV, online and social networks. It uses multiple platforms to reach its weekly audience of 320 million globally, including shortwave, AM, FM, digital satellite and cable channels. As part of an historic and exciting expansion, the BBC World Service has introduced four new language services across South Asia – Gujarati, Marathi, Punjabi and Telugu. All four services will be multiplatform, with a multimedia website with a focus on text, digital video, interactivity for both desktop and mobile platforms, social network presence, and a daily TV news programme for each service. The services aim to make international news relevant to an Indian audience, and bring international perspectives to bear on Indian and global developments. All services in the Region share an ambitious outlook to attract more audience to our digital, radio and TV contents and strengthen outputs in the coming years so to respond to the changes in the market. BBC Marathi is part of this dynamic group of services and will be a vibrant, creative and efficient unit of the Asia region. We are looking to recruit a Broadcast Journalist (Multimedia) to support the new Marathi service. This role is based in New Delhi on local terms and conditions. Reporting to the Marathi Editor, you will work across website, social platforms and TV programme to ensure that the highest quality content is created for our audiences, and make sure that content conforms to BBC editorial standards. You will be responsible for delivering influential stories within tight deadlines for TV, online and digital platforms. You will be expected to report, present, research, write, translate, edit and adapt stories or programme material for the Marathi service. Flexibility is required for this role. The successful candidate will have demonstrable experience in a journalistic role, with a full command of Marathi and a High Level of English (written and spoken for both languages). You will have an excellent broadcasting voice, able to perform on camera for TV output. Knowledge of digital production techniques and social media platforms is important. An understanding of global and regional news in the target area is essential. You will have a flair for creative writing, able to bring new and interesting angles to stories for BBC Marathi. Diversity matters at the BBC. We have a working environment where we value and respect every individual’s unique contribution, enabling all of our employees to thrive and achieve their full potential. Please note that candidates must have the right to work in India to be eligible to apply for this role. Required Freelance writers for lifestyle journalism and celebrity interviews. Should have 3-4 years experience in writing for magazines and newspapers. Send last three published articles. Payment will be on acceptance of articles along with incidental expenses. Should have good research capability and writing skills. Topics will be provided by Woman’s Era, Alive and Suman Saurabh magazines. Stories have to be developed in consultation with the Editor. Stories should also accompany Photos and Box Items. Send your resume as per above with samples towrite ‘at the rate’ womansera.com. Once your resume is approved you should receive a list of topics to write on. Articles and stories are paid for on acceptance. Amount is dependent on quality of work and research. Incidental charges on the story shall be paid. Each Journalist can do 3-5 stories a year for the magazine.